Can the House Reach Bipartisan Agreement on Postal Reform? A House plan to help the U.S. Postal Service restore its financial health is expected to come up for a vote before the August recess. The bill, which takes a more austere approach than the Senate postal reform bill passed in the spring, would reduce postal delivery from six to five days a week, transfer about $11 billion in surplus retirement contributions into the Postal Service’s coffers, decrease the agency’s contribution to employees’ health and life insurance premiums, and restructure the payments USPS is required to make annually to prefund retirees’ health benefits. At the Postal Regulatory Commission’s monthly meeting Tuesday, PRC spokeswoman Ann Fisher said the House Oversight and Government Affairs Committee staff, including its chairman, Rep. Darrell Issa, R-Calif., was hard at work trying to secure the House votes needed for passage. The committee is not yet publicly releasing details of reports accompanying the bill. Ali Ahmad, a spokesman for Issa, could not provide the exact date of House floor debate. It is expected to come up before Congress takes a monthlong recess beginning in early August. Fisher noted the commission had received noteworthy attention in both Senate and House appropriations bills unveiled in June. The Senate’s spending bill provides $14.5 million for PRC, to be taken from the Postal Service Fund. The figure is $146,000 above the commission’s fiscal 2012 budget. The Postal Service Fund is included in the appropriations bill every year to pay services such as election ballots from U.S. citizens overseas and free postage for the legally blind. In a report accompanying the bill, the Senate acknowledged that the commission will be busier this fiscal year. “With the Postal Service’s announced intent to close or consolidate potentially hundreds of mail processing facilities and a significant number of postal retail facilities, the committee understands that the number of appeals to the PRC and the volume of documents per docket as a result of these actions can be expected to grow exponentially over the next few years,” the appropriations committee report stated. 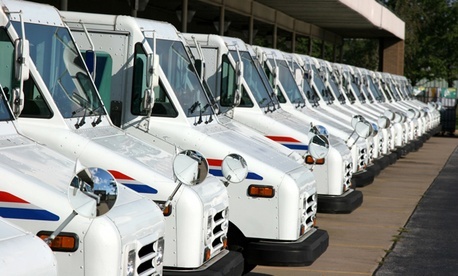 PRC currently is considering two complaints on USPS’ service adjustment plans, one from the Active Association of Mail and Parcel Carriers and another from the American Postal Workers Union. The commission will hold a special meeting Wednesday on USPS’ plan for adjusting its retail network and hours, including changing hours at thousands of postal retail locations and working hours of postmasters. The House appropriations bill proposed $14.2 million for PRC, less than both its fiscal 2012 level and the commission’s request. The committee proposed $89.1 million for the Postal Service fund, however, $10 million more than fiscal 2012. Both Senate and House spending bills urged the continuation of six-day delivery, and both are awaiting final passage, Fisher noted.